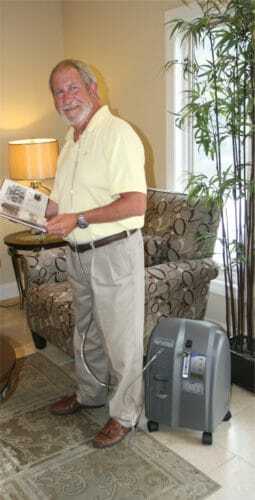 AMED® offers a long term rental plan for you to enjoy this home use oxygen concentrator. The monthly rental includes one time delivery and carefree warranty. You can also enjoy 5% off for any purchases of oxygen therapy accessories. (1) Cannula is not included, available for purchase. (2) Monthly rental plan is only for selected model, minimum rental is 2 months. (3) Please pay for the first 2 months rental before the machine is collected, the autopay instruction should be set by the tenant before the third month starts. (4) Please pay full amount of the rental for below 6-month contract. (5) If the rental period is 6 or 12 months, monthly instalment is available for Hang Seng or American Express credit card holders. (6) We will replace another machine without charges if the machine is down without any man-made damages. (7) Tenant will be charged for $3,000 as compensation if the machine has man-made damage, we need to recall all the damage parts. (8) Tenant will be charged for $8,000 if the machine is lost. (9) Doctor prescription is required for the Oxygen Concentrator setting, our company does not take responsibilities on any health issues. (10) Oxygen Concentrator is not for re-rent or re-sell to other parties.